Don't forget to check out my portfolio page to see the website design and branding work in action! After checking out some seriously talented designers, I knew Ali was the one. In showing me her first ideas for the mood board, this knowing was validated in a "knocked-it-out-of-the-park" way. That continued every step of the way from her design work, professionalism, and her very essence. It is quite something for someone to "get" you and your work and articulate that through their design and craft- it's the very act of being seen for who you are. I feel Ali parlayed the breadth and body of my work in stunning ways that I would never have conceived on my own. I will always be grateful for the care she put into my website, the interpretation and integration of my ideas, thoughts, and the spaces where I had no idea what I wanted, I just knew what I liked. The immediate, and continued feedback, I hear about my site is that my designer "nailed it". There are lots of "oohhs and ahhhs" and I am happy to report, a huge uptick in sales and inquiries. I am happy to whole-heartedly recommend Ali for your project. There was not one moment in this project that I did not feel she was attuned to and concerned about my needs as a client and the site as a whole. It has been a privilege to work with her and I cannot recommend it enough. And here's' probably the greatest testament to her artistry- the logo she created for me? It will be my first tattoo." As business has grown, and as busy I’ve become since starting work with Dapper Fox, I feel so fortunate to have found Ali, whom I can call “My Designer”." Ali is a true professional, too. I appreciated her mapping out our full work-flow process and timeline, and her on-time delivery of collateral every step of the way. Even when I fell behind, Ali managed to keep on track. Looking back at the beginning of this process to where I am now I think the process could have easily been overwhelming, but it was not. Thanks to Ali, who is organized, professional and really talented, the project moved along without even as much of a hiccup. In fact, it was fun and I feel like my new business and website is positioned for success. Thanks, Ali!" "With this project my goal was to create a more professional way to display my work, but also keep a flare of my personality in it. I wanted my audience to be able to experience my work while feeling connected to my brand and the value that I can offer. From the moment we spoke on the phone, Ali was sympathetic to my needs and my vision while adding her direction and advice from a design perspective. Her desire and openness to collaborate with me made the process seamless and very productive - even with me living on the opposite side of the country. I was truly and pleasantly surprised when I saw how easy and effective it was to communicate and transfer information via the design process that Ali has set up. Ali is a true professional that takes times to understand her clients' vision and collaborates with them to bring their brands to life. The best part of the process was seeing the final product, and realizing that Ali took every detail and turned it into a beautiful gallery for my work." "When I started out with Ali, I knew I wanted a fresh, new look for my website along with a branding package. Having never worked on branding and logos, I wasn’t sure what to expect, but Ali walked me through it all beautifully. Her process of working meshed perfectly with mine. She ‘got’ the feel of what I wanted my home on the web to not only look like, but feel like. I wanted someplace readers wanted to stay and not only find it informative, but comfortable, a site that reflected not only my books, but me as a person. I’m a beach girl at heart and most of my books are set near the water, so I knew that was an element I wanted prominent, but being a romantic suspense writer, I also wanted to convey an element of mystery. Ali did a fantastic job combining the two. My website came out spectacular. I’ve received nothing but positive feedback, exuberant, positive feedback. The site feels like home to me. I love spending time on it and my readers do as well. My logo is a perfect match for what I wanted, but couldn’t visualize until Ali helped me through the process. She was there every step of the way. She made me feel like mine was the only project in the world. I so appreciate her professionalism, availability, amazing response time, fantastic design skills, but most importantly, her heart for her clients and her work. I can’t recommend Ali enough." The only surprise was how easy and fast everything was! I had been putting this project off for a long time because I didn't feel that I had time to commit. This was just a few simple emails and Ali at Dapper Fox did everything else! My favorite part was when I first saw the outline of the website. It didn't have permanent pictures at that point, but I was so excited to be able to see how it all was going to look and it was so cool! The whole experience was so easy and Ali has such amazing talent! I couldn't be happier that I chose Ali and Dapper Fox and would recommend her to anyone!" "Ali is AMAZING to work with! As a professional website designer working from my home studio in Ypsilanti, Michigan, I specialize in creating beautiful Squarespace websites and visual identities for mompreneurs to help their businesses come to life. I founded my small design studio at the start of 2017 and wanted some outside help creating a visual identity for my brand. Ali quickly made me feel at ease, took the time to understand my business direction and delivered a beautify brand. I would highly recommend her!" "Ali's passion for website design shines in her work! It was important for me to find someone with a similar passion in wellness, beauty and nutrition to really convey the meaning behind Everly Grace Whole Beauty. She listened to my vision and helped me create a website that could help people find a holistic approach to living their most connected and beautiful life. She took extra care in helping me make the website a part of my personality and passion. Thank you Ali for your authentic and genuine work, it is an inspiration when I meet others that shine with true inner beauty." "I cannot say enough good things about Ali. She made the experience of starting a new business and creating a website a wonderful one. She worked with me at every step of the process when it came to building my branding and website. For me, she is not only a web designer but also a business consultant and advisor that provided valuable feedback and knowledge on the advertising and marketing industry. Ali is organized and professional. She is also very creative, resourceful, and an expert on business marketing. What I enjoyed the most was the process of creating my business name and choosing the color scheme. She came up with several names for my business and provided me with explanations and meaning behind each one. I ended up choosing the one that I thought was perfect. “There are few things in life that consistently exceed my expectation time and time again, but the quality and consistency of work Ali does each and every time!! There is something special about Ali and her ability to turn a few words and ideas into something that is truly a work of art. “Ali is a true professional with passion and intelligence! When I started this process, I knew what I wanted my business to encompass, but I was lost on a name. Ali and I worked together, brainstorming a business name that is clever and unique. She worked closely with me to stand true to what my bushiness stood for, and made sure it was reflected in every aspect of the branding and design. My business took on an entirely new level with the new brand name, logo and inducible chic website design and social media designs. I feel fortunate to have had the pleasure to work with someone who was truly invested in my success." “As a small business in Utah with several competitors in our niche of a market, we wanted to have our website stand out above the rest. When we first talked to Ali we expressed our concerns about issues relating to visual stimulation, content, ease of navigation, and getting our message out in the simplest manner. Ali exceeded our expectations in designing our website in all of these categories. We were highly impressed with the speed, precision, and ease in which she designed and implemented our site, as well as the efficiency in communicating with us via text, email and phone calls. "I originally created my website myself with a tired, old, free Wordpress theme, and I always disliked it. I simply slapped it up because I needed to get something quickly. So my goal in this rebrand was to have someone who knew what they were doing help me create a new website from the ground up and do it correctly from the beginning. I specifically wanted to incorporate my own style into my website without having to retrofit who I am into a one-size-fits-all theme. I wanted my website to be original and look like no other, with some custom elements that will go on to be instantly recognizable as part of my brand the moment they appear on the web. Ali understood that and gave me exactly what I wanted. I absolutely love my new website and I couldn’t be happier. When my audience visits my website I want them to feel like it would be fun to work with me. I want a whimsical, yet productive, vibe that feels non-threatening and supportive; kind of quirky and arty, but professional at the same time. I was pleasantly surprised at how easy it was to work with Ali; I didn’t think it would be difficult, but I didn’t know it would be that easy. She’s flexible to changes, responsive to emails, and made sure we stayed on task and on schedule, which I appreciate. I also love her creativity and willingness to offer new ideas without being asked. She’s very proactive. My favorite part of the design process was feeling like I was part of a creative team. I really feel like the creation of my website was a collaborative process. I know I was being heard when I expressed my ideas, which made the overall process very streamlined. I highly recommend Ali and Dapper Fox Design to anyone who wants a creative, original website and brand. You’ll get exactly what you want without sacrificing professionalism and quality. I would work with Ali and again in a heartbeat!" “My main goal was to create a stock photography gallery that blends with my current brand, Turquoise & Palm. We absolutely accomplished those goals and more! I wanted my audience to feel that the brand was relatable yet professional without being stuffy. I really wanted it to be bright and fun and capture the attention of my target audience. What surprised me the most was how complicated building a stock photography library website was and how much went into it. I was so thankful that Ali was my designer because she had the expertise to build the site exactly how I wanted it while making sure it functioned flawlessly. My favorite part of the process was of course the end result! It was so amazing to see my vision come to life and for it to be exactly what I wanted! The overall process was just amazing. Ali is so professional and took the time to completely understand what my goals were and to make sure they were accomplished. She also is very responsive and timely and that I appreciate so much! She also addressed my concerns without making me feel like an idiot for asking and always made sure I was happy with the results. I will absolutely work with Ali again in the future and already have recommended her to everyone I know!" "When I started working with Dapper Fox Designs I hoped to come out with a nature themed brand that was completely unique. Ali went above and beyond to make this happen. I wanted my audience to feel a love and connection to nature when they see my brand. I have always loved spending time outdoors, and appreciated the natural earth. When people see my brand I wanted them to feel that love as well. Ali took my tagline “nature reflected through a lens” and made it come to life in my logo. She also incorporated a bit of purple (my favorite color) seamlessly. 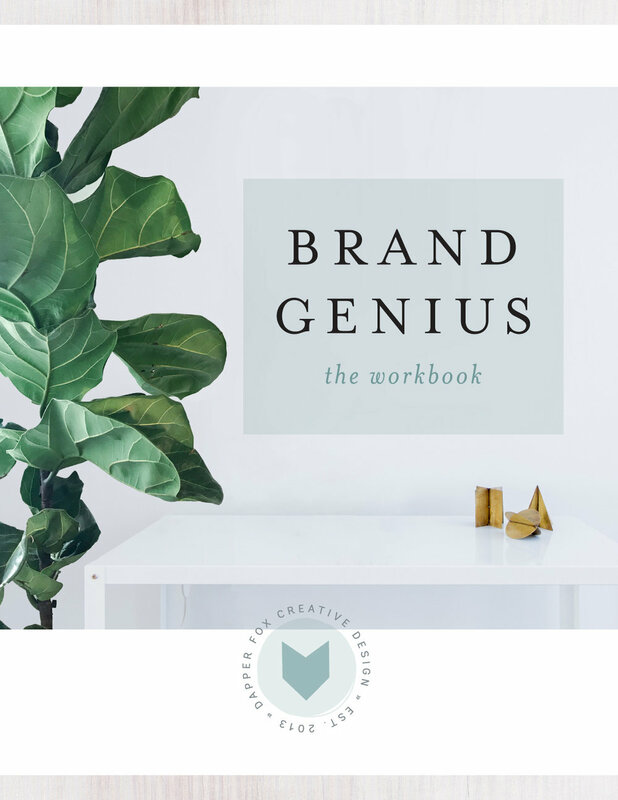 The amount of work that goes into creating a brand and website was unbelievable to me. There were so many steps that I would not have even thought of. Ali did a wonderful job walking me through these steps when the project turned out to be so much larger than I expected. The best part of the design process was seeing my brand come to life. I had always had a vision of what I wanted it to look like but did not have the design abilities to make it happen. Seeing the brand unfold was a truly amazing experience. I had a fantastic experience and will definitely work with Ali again if given the chance!"